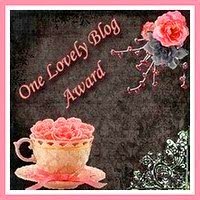 This morning I found out that I have been given the "One Lovely Blog" Award. I am so excited about this! I was nominated by iintegratetechnology for this wonderful award. Thank you so much! 1. Become a "Follower" to the person who gave you the award. 3. Pass to 15 new bloggers and then let them know they have received the award. Hey chica! I had a few awards too that I was suppose to pass on and this reminded me of it. So come grab yours.